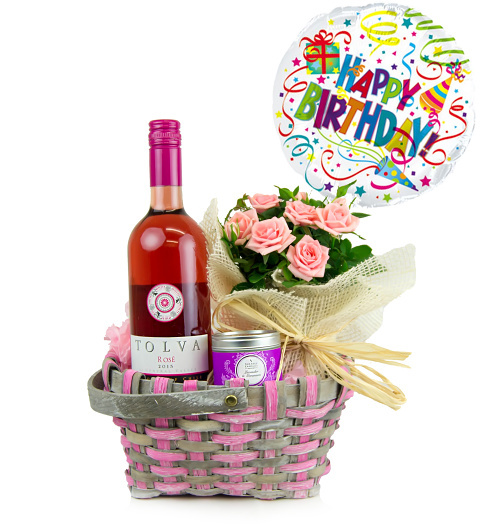 This very special birthday basket has been designed for maximum impact - a gift that is sure to get others talking! Presented in a basket is a beautiful rose plant sure to grow as a memory of this wonderful gift. A gorgeous candle is also included to help your lucky recipient relax on their special day. The gift wouldn&apos;t be complete without a delicious beverage so we have included a bottle of Rosé wine and a balloon.